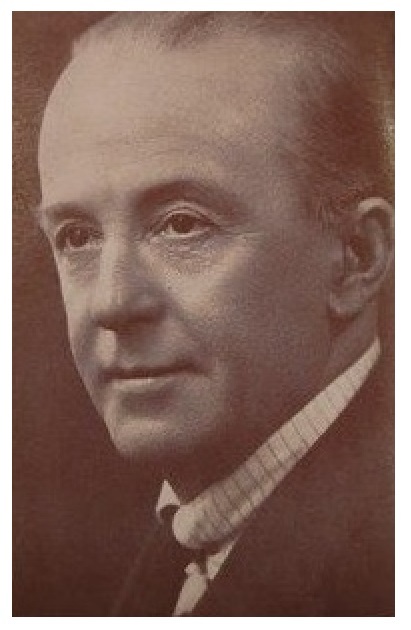 Born David John Gillings in Great Yarmouth on February 15, 1864, the music hall star George Mozart began his career at the age of nine when, for a shilling a night, he played the side drum at the Theatre Royal in his home town. Although he temporarily left the theatrical world to become a drummer in the Norfolk Artillery Band, he had been bitten by the theatrical bug and soon returned to the stage. Taking on any job that he could find, he played drums in a stage orchestra while learning how to paint scenery and act in stock. He made the move into music hall as a Christy Minstrel and toured all around the country. 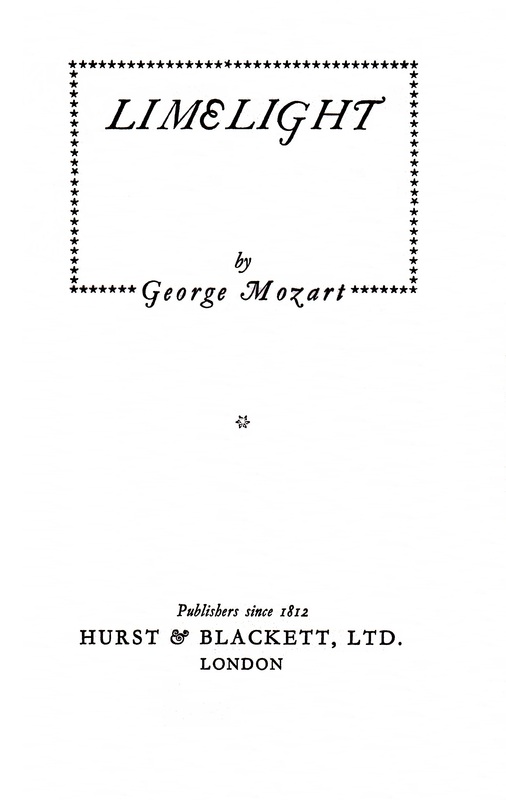 After another break from the theatre, during which he unsuccessfully tried his hand at running a pub, Mozart established himself as one of the top British music hall comedians. During a long career, which took him to America, Canada and Australia, he worked with all of the great music hall stars of his age. Although he was featured in a British Pathe newsreel with the famous male impersonator Hetty King in around 1917, George didn’t begin to carve out a career in moving pictures until 1928 when he starred in the self-penned short Mr. George Mozart the Famous Comedian. 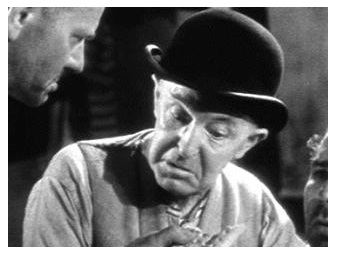 During the 1930s he appeared in two more short features and 15 full-length films, including the first five films from Hammer Productions – The Public Life of Henry the Ninth, Polly’s Two Fathers, The Bank Messenger Mystery, Mystery of the Mary Celeste, and Song of Freedom. His prolific appearances in the early Hammer films was, no doubt, linked to the fact that he was a member of the board of directors. George died in London on December 10, 1947 at the age of 83. In Chapter 32 of Limelight, George recounted two incidents which took place during the filming of Mystery of the Mary Celeste. The first tells the story of a “young man” in love with Shirley Grey, the film’s leading lady. 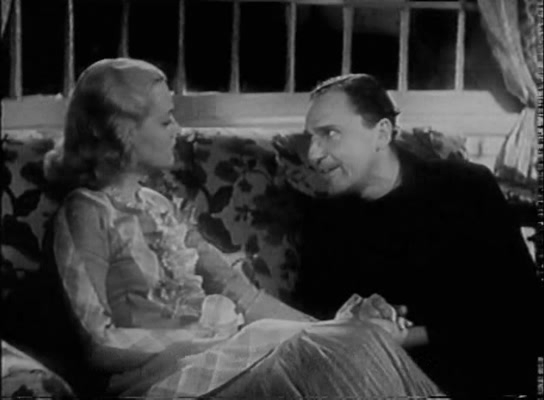 The same incident was recalled many years later by Tilly Day, the film’s continuity girl, who revealed that the “young man” was J. Elder Wills, the art director of Mystery of the Mary Celeste. Georges’s memories of the film are reproduced in full below. “I once played the cook in a picture called The Mystery of the ‘Mary Celeste.’ It was a marvellous story but did not seem to catch on, I don’t know why. But I would like to tell of a romance that occurred during the making of the picture. The story is quite as romantic as any that have occurred at Hollywood. Shirley Grey came from America to play the only woman part in the picture. She is a beautiful girl and a great actress. Two young men of the production company met her at Waterloo and gave her a great reception, but one of the two fell in love with her at first sight, and she seemed to like him. We all thought that a marriage would take place, but it was not to be. On location at Falmouth, Shirley had to board a windjammer in Falmouth harbour at eight every morning and sail out to sea for miles all day. Shirley, being the only lady on board, and a very pretty one at that, had great attention from all the men. But Shirley was most of the day in her cabin, according to the film story, and only came on deck when required. We were quite three weeks on board, and Shirley and her beau did not see much of each other. 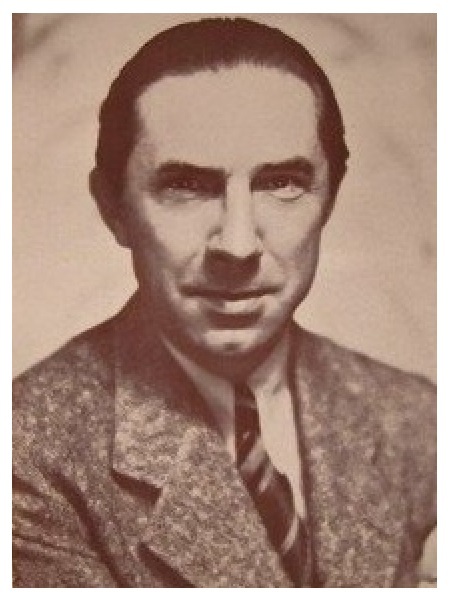 Our lead was Bela Lugosi, and the man playing the part of the captain was Arthur Margetson. Shirley was playing the part of his wife. We eventually finished on the ship and went to the studios at Walton-on-Thames to do the interiors. Then things started to develop. It was August and wonderfully hot, and on Sundays, being near the river, everybody took advantage of it. Our young man who was in love with Shirley invited her to go on the river. So he hired a launch and as lovely repast, not forgetting the champagne; in fact, everything one could do to give his adored one a good time. Sunday morning arrived, and the young man turned up in spotless flannels. He waited half an hour, but no lady turned up. An hour passed, and still no sign of her. Then a member of the studio staff came along and said he had seen Shirley Grey and Arthur Margetson together in a punt a mile down the river. The young man got very annoyed and threw all the food into the river, but I don’t think somehow he did the same with the wine. The scenes taken in the studio were supposed to be when the captain (Arthur) was proposing to the future Mrs. Biggs (Shirley), and they had to act a beautiful love scene. We all thought what good acting it was, how natural and how well they acted together. All the time it was real love-making and real proposing. No wonder Shirley didn’t turn up that Sunday. Arthur took care of that – and now they are Mr. And Mrs. Arthur Margetson. We came to Walton-on-Thames studios to finish our picture, The Mystery of the ‘Mary Celeste’. Bela Lugosi was our star, and a very nice man I found him, a charming chap, though he played an awful creature in the story. He is a native of Hungary and his English off the screen is certainly not good; he makes up for that by his clever acting and delightful manners. He is also a great fellow to go out with. We gave him a great time – a reception at the Grosvenor on his arrival from Hollywood and a great send-off on the platform at Waterloo station. We had a full-size ship built up in a field at Walton, exactly like the one we were on at sea. The shots had to be taken in the middle of the night. Huge lamps, etc. The ship was built to rock, and groups of stage hands were stationed each side to give her a good rocking when the storm was at its height. Huge tanks full of hundreds of gallons of water were on very high platforms, ready to pour over the ship; compressed air in tubes ready to blow her nearly over; in fact, it was a wonderful set, costing no end of money. We started shooting about half past one in the morning. Half the inhabitants of the village turned out to watch – great excitement. 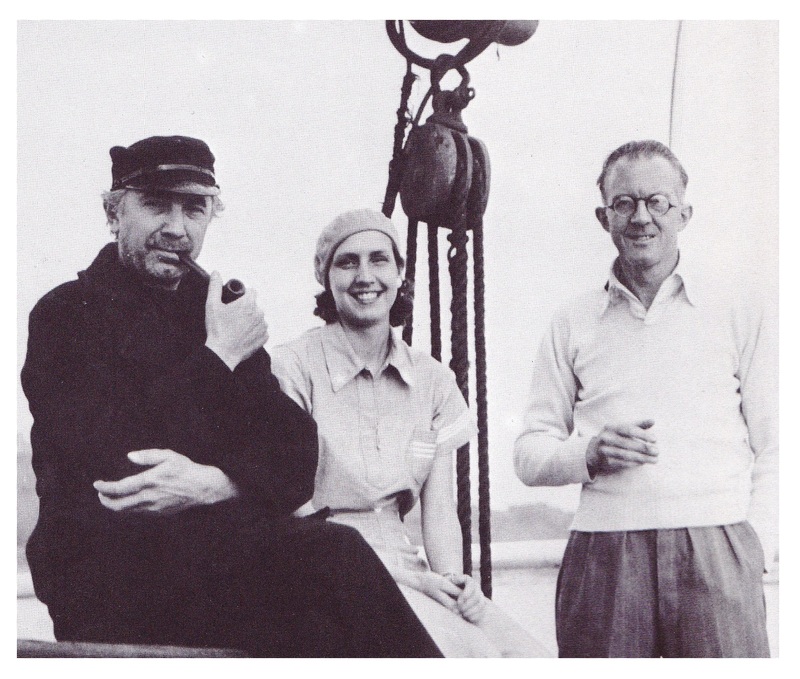 Lugosi was a mysterious seaman, made up with only one arm. 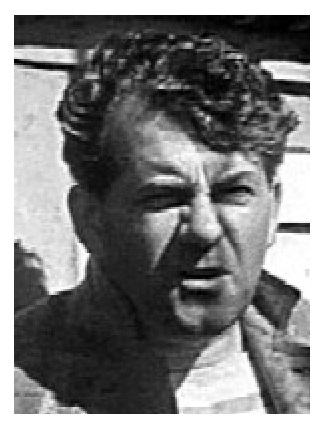 He had to be washed overboard – a large beam struck him dead on the deck, then one of the water tanks was turned on, and down came the water in hundreds of gallons and washed him clean over the side of the ship – so the shot would fit in with what had already been done off Falmouth on the real ship. We all got the wind up when we saw all that water drenching Bela like a rat, because we knew our turn was the next shot. And we were told by the director Denison Clift, that all the tanks of water were going to be let loose. 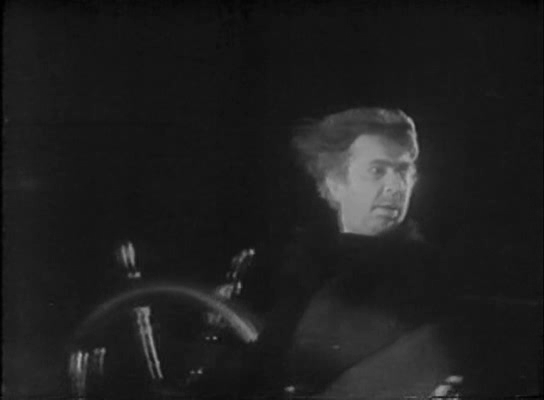 The storm was going to be at its worst; of course, Lugosi was not in it. He had done his bit and had rushed across the field wet to the skin, to the studios to get changed. Our director got a bit nervous about me. He considered my age and was afraid I would catch cold. I assured him I did not mind and I was quite in trim to take whatever was coming – just as good as any of the young ‘uns. All was ready for the great storm; a hundred stage hands were standing by in their places. Three cameramen ready, one up in the mast, and so on – all of us waiting for the director to give the word “Action!” and blow a loud whistle. But something kept going wrong – and it would not do to chance anything – everything must work to the arrangements, otherwise it would cost no end of money to have a re-take, and that would mean another all-night’s work. So we rehearsed our lines and actions while waiting. I was playing the old ship’s cook, a Cockney, and my colleague, Johnny Schofield, as an Irish seaman. We were ordered to the wheel, one each side, holding on like grim death; the mighty seas (I beg pardon, tanks) tossing us up and down. I remember our dialogue; as he came up and I went down he said: “Holy Saints, save us!” and I had to shout through the noise of the storm: “No good, mate – they can’t hear you. The next moment I was up to my neck in water, the ship rocked from side to side, the water rushing all round me. Down it came again, another tank let loose. It knocked me on the wheel – a nasty knock on the head, but my bowler hat saved me. Down she came again, more water than ever – a terrific ‘wave’ right over our heads. It knocked Johnny Schofield over. He entirely disappeared somewhere – the shot was over. A great success. Johnny turned up from nowhere; so did Bela Lugosi with the whisky. He was terribly upset about me; needless to say, I was wet, soaked through. The dear chap had a large blanket, which he quickly wrapped round me, and actually carried me half across the field towards the dressing-room in the studio. I was stripped of everything like greased lightning. My dresser brought another dry blanket and clothes, and Lugosi made me drink half a bottle of whisky – almost neat. Now I never could stand much drink before it got to my head, so one can imagine how I felt. Now I played hornpipes on the violin in one of the scenes in the picture; they are not easy to play. When one is out of practice they are extremely difficult! Anyway, I was proud of the fact that I could play a certain hornpipe tune pretty well. Well, I had nothing on, only a blanket round me, under that I was as naked as when I was born. Lugosi insisted I should lie down on a couch for a few minutes before dressing while they fetched the car, and he made me drink the rest of the whisky. And I was left alone. When they came back they found me stark naked, playing my hornpipe on the fiddle and dancing at the same time. Boy! That whisky was some whisky, but it did me good. Arthur Margetson was also wet through. 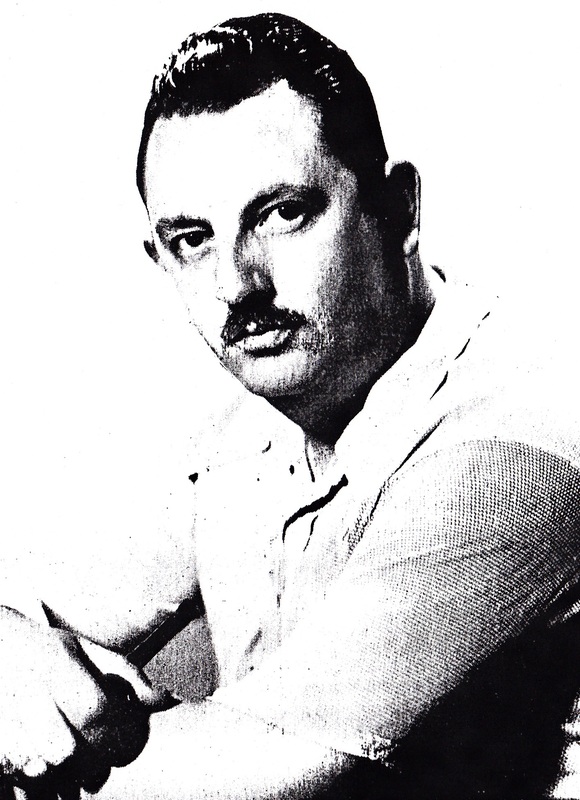 He played Captain Briggs, and went through it as much as anybody, except he was artful and did a bit of dodging. There was also a bottle of whisky for him and he got the wind up – and the whisky had to suffer for it. We both stayed at the same hotel at Shepperton a short distance away. He drove me back in his care. How he did it I don’t know – I can’t tell even to this day. certain they will acknowledge it was most realistic, and one of the best storm scenes ever seen on the screen.